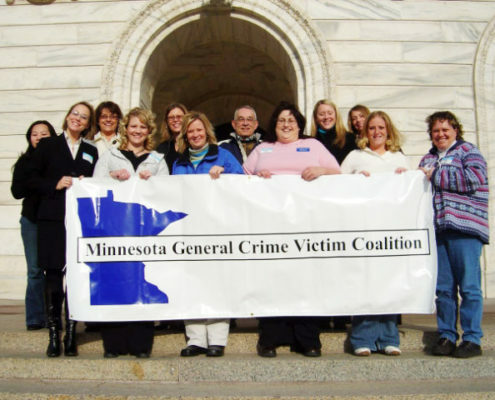 MAC is a membership coalition of more than 90 crime victim service organizations in Minnesota, including prosecution-based victim/witness programs, community programs, law enforcement agencies, civil legal organizations, and also individuals committed to supporting crime victims. We support our membership through training, technical assistance, resources, public policy and legislative initiatives, and networking opportunities. In the early 1990s, several crime victim service providers throughout Minnesota began meeting informally for the purpose of providing support and sharing knowledge and resources with each other. This group of dedicated individuals identified the need to become more organized in their efforts. Out of this need, the Minnesota General Crime Victim Coalition was incorporated in 1993. Throughout the years, dedicated coalition members and volunteers of MGCVC sought to advance services for victims of general crime. General crime in Minnesota includes 39 specific crimes such as identity theft, kidnapping, child abuse, stalking, domestic and sexual abuse, gang crimes, arson, hate/bias crimes, elder abuse, drunken driving crashes and homicide. In 2007, the coalition changed its name to the Minnesota Alliance on Crime. Working with other agencies, programs and service providers – including prosecutors, law enforcement, probation, court staff, legislative leaders, victim groups, and advocates – MAC promotes better crime victim services in all facets of the criminal justice system and beyond.